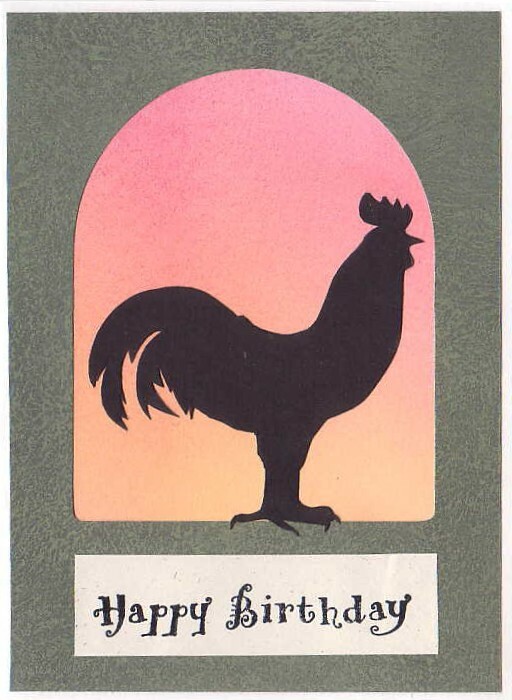 I used some clip art to create the rooster silhouette on this card. I printed the rooster, then traced the outline onto black card stock. The window was cut from dark green scrapbook paper and the background is also scrapbook paper.